This article describes the implications of basic rights that are specific to Jedox Integrator. The basic rights are described in detail the article Administration of User Rights. The following table lists the minimal OLAP object rights for the different possible operations in Jedox Integrator. These rights have to be assigned at the role level for the user. It is possible to define rights at the project level for Integrator (ETL). 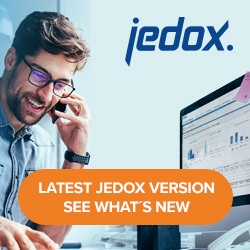 With the appropriate authorization, they can be assigned or changed for projects in the Integrator Manager with a right-click (see section “Required access rights for controlling Jedox Web objects” in article Rights with Impact on Jedox Web). Users have full access to the project. They are allowed to edit and delete the project and its components. Furthermore, they can execute and monitor loads or jobs and perform a data preview. Users are allowed to edit the project and its components. Furthermore, they can execute and monitor loads or jobs and perform a data preview. Users are allowed to display the project and its components. Furthermore, they can execute and monitor loads or jobs and perform a data preview. Also, they can execute loads or jobs of the project from a Web Spreadsheet (via a Macro). Users have no access to the project. It is not displayed in the Integrator. Note that rights on project components (e.g. extracts) are not supported. Furthermore, as there are no project groups available, there is no inheritance of user rights. In order to create Jedox Integrator Tasks, additional authorization for Scheduler is required (rights object ste_scheduler). In Jedox Web, users can only see the Integrator component if they have at least the “R” rights for the rights object “ste_etl”. They can edit the project and create new projects if they have at least the right “W”. Even without rights on “ste_etl”, the execution of jobs and monitoring is possible from other Integrator clients, e.g. Integrator Command Line Client or Jedox Web Spreadsheets. See also Accessing the SOAP API of Jedox Integrator (ETL) from PHP. For drillthrough data retrieval only, “D” rights on the specific rights object “Drillthrough” is required. Note that for creation of drillthrough data in a cube load, no rights on rights object “Drillthrough” is required.